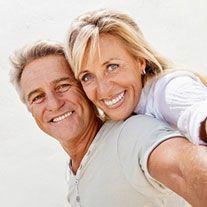 Now that you’ve got that perfect smile you’ve always wanted, the next step is keeping it that way. Teeth bleaching, veneers, crowns, bonding, and other cosmetic dental treatments can rack up quite a bill. But if you maintain your smile properly, then you’ll agree that the investment was worth it. Here are a few general tips to follow as you continue to show off your new smile around Columbia. 1. Avoid things that cause stain. If you know what was to blame for discoloring your smile in the first place, it could very well plague you again. Put a limit on how often you consume red wine, coffee, tea, curry, and berries, and cut out tobacco use. 2. Brush well, often, and gently. Regular plaque removal is key to avoiding a buildup of ugly stain. Try to brush a minimum of three times per day for two minutes at a stretch. Use a soft-bristled toothbrush and non-abrasive toothbrush to avoid damaging restorations. Don’t scrub too hard or you can abrade enamel and irritate gums. 3. Do touchups. Teeth bleaching won’t change the color of your dental restorations. But if your natural teeth stain and get dark again, then your crowns and fillings will stand out in comparison. You can maintain a bright tooth color with at-home whitening kits. 4. Visit Dr. Leppo and Dr. Trost for checkups. Keeping your smile bright doesn’t require any expensive or complicated trade secrets. A simple routine of regular dental examinations will ensure that you don’t have any more major dental issues sneaking up on you. Schedule regular visits to Columbia Dental Center and our team will help you keep your smile beautiful for life!